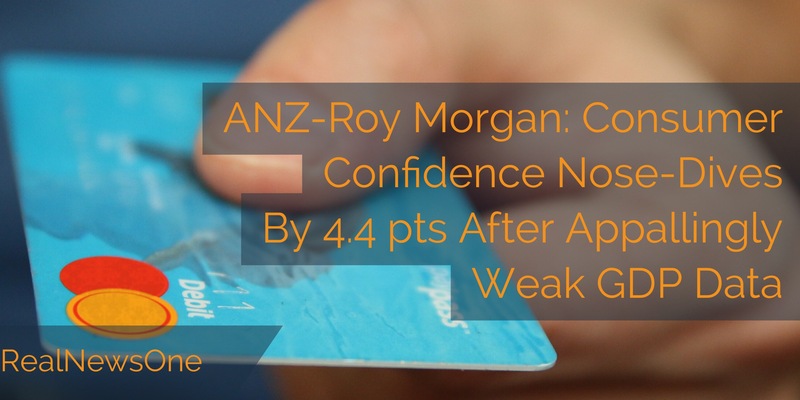 According to ANZ-Roy Morgan Consumer Confidence fell a sharp 4.4% to 113.4 this week. The ANZ -Roy Morgan report shows Households’ views towards their finances compared to a year was down 0.7%, while households’ views towards their future finances slipped 2.1%. Households’ views of economic conditions over the next 12 months plummeted 11.7%, bringing the index to its lowest level since February. Household views of the economic outlook in the next five years fell a more modest 1.7%.